As I take a stroll down memory lane I think about one of the first meals I believe a lot of us have ever made and that’s a grilled cheese sandwich. There is nothing else like pan searing bread in butter with some good ole American cheese. I believe the first recorded grilled cheese sandwich was made in the 1920s. I’m not 100% sure who gets credit for it’s original creation but that person definitely needs to be awarded with the Noble Prize. Once the types of bread used began to expand, and cheese varieties became more accessible, the creativity of this sandwich grew right along with them. You can choose to go with Texas toast, French bread, Sourdough bread, Brioche bread and many more. It is truly amazing how simple this sandwich is to make and yet taste like an authentic delicacy. It doesn’t matter if you grew up privileged or in the struggle, the grilled cheese sandwich always had a way of making everyone feel like it was and is the best thing you could serve on any dinner table. Here are 18 “out of the box” grilled cheese recipe ideas that I’ve found and wanted to share with you for a little inspiration. 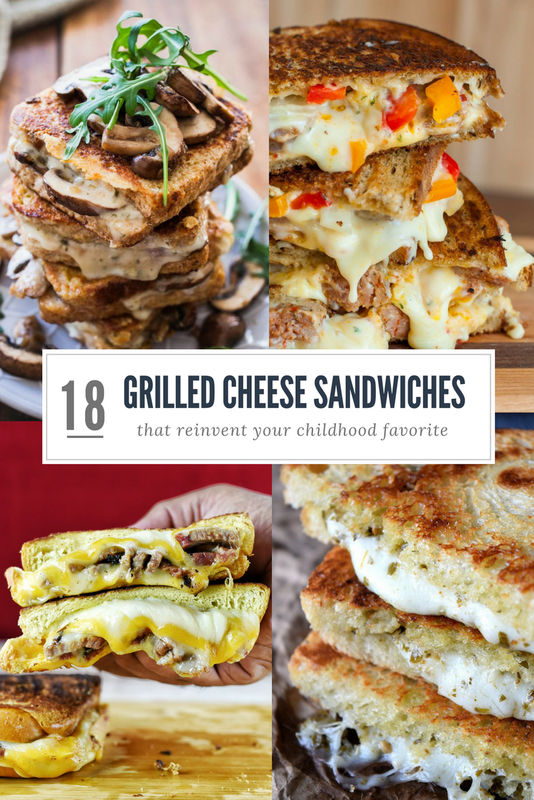 Each recipe should give you a completely different spin on the grilled cheese sandwich! I would like to start off by saying who doesn’t love a good grilled cheese sandwich and when you can throw some good barbecue brisket in the mix it takes this delicacy to a new level. Layering three cheeses with juicy and moist brisket is one of many ways I upgrade my grilled cheese. So when a grilled cheese craving strikes and there’s no bread to be found… pita bread to the rescue! Fluffy pita bread and melted cheese are a match made in heaven. 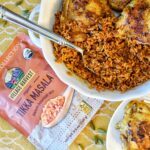 Factor in the toasty, buttery grilled crust that happens when you take things to the skillet well…you’ll be hopelessly obsessed! We all know sweet and salt go together perfectly and this combo illustrates that to a tee. This is the only way you’ll ever want to use up leftover cranberry sauce! Subtle and creamy, the Brie completely marries the flavors together beautifully. 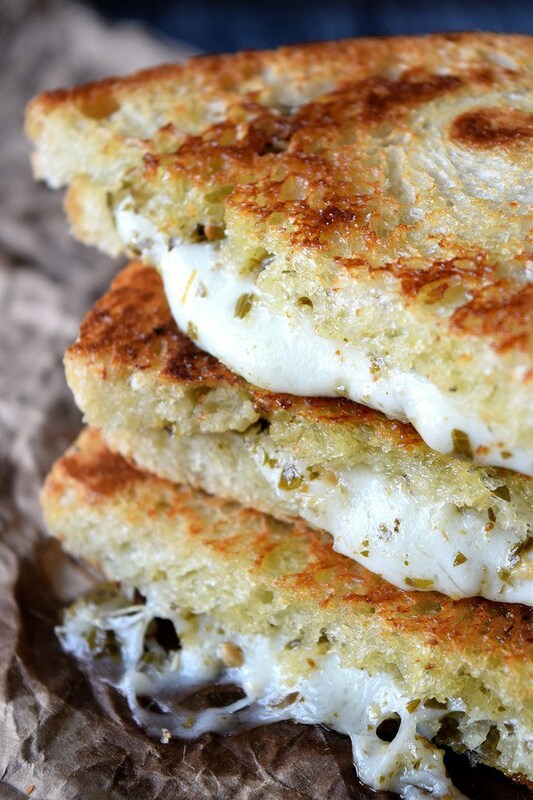 When you pair pesto, warm and gooey mozzarella, and crunchy sourdough bread, you end up with a grilled cheese sandwich that can do no wrong! Just cheese? Blah-so boring. Add some flavorful onions and fat tomatoes and you’ll be in heaven. If you try this grilled cheese with caramelized onion and tomato, you may never want to go back to a regular grilled cheese again. You’ve been warned. So if you’re looking for a sweet French toast recipe you’ll have to look somewhere else (for now). 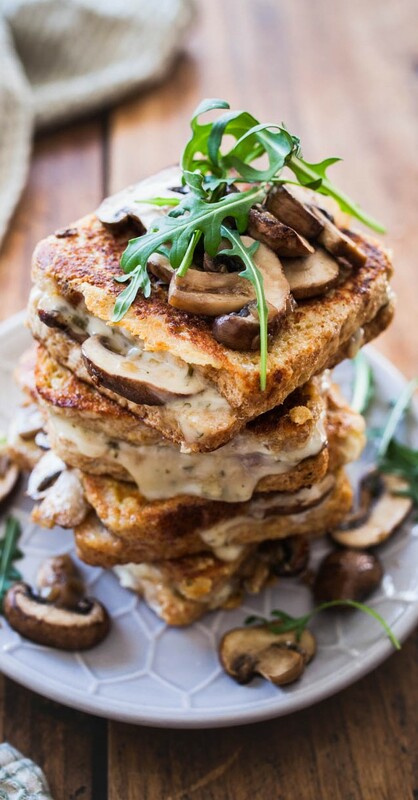 This grilled cheese is getting crispy, savoury and umami with gooey, melted cheese and fried mushrooms. 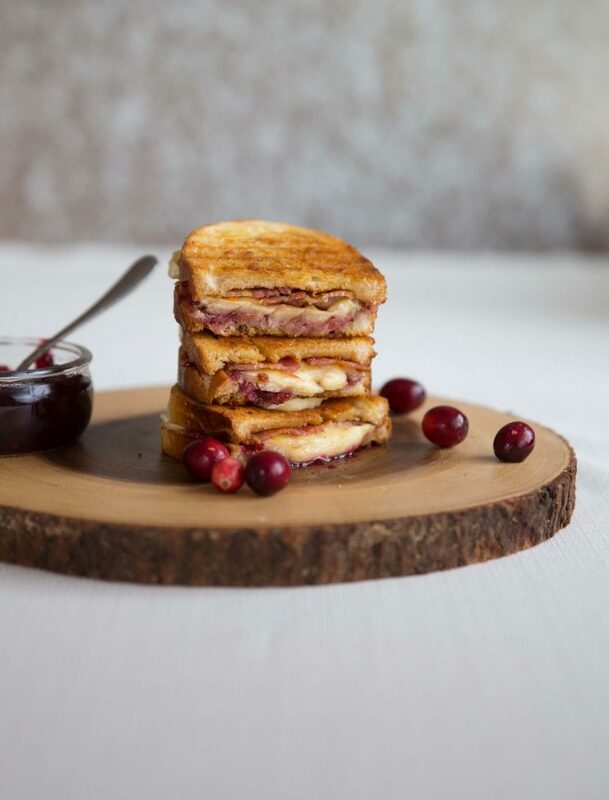 This recipe makes the best, most decadent, gourmet Crispy Pancetta Guava Grilled Cheese! It’s the sandwich you never knew you wanted! It addresses all the spots on your tongue — Sweet, Salty, Spicy. 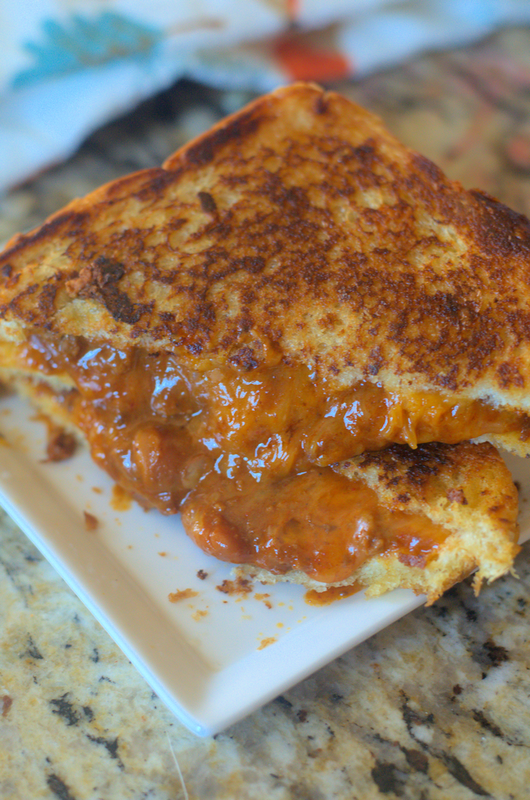 This BBQ chicken grilled cheese sounds (and looks) amazing! Crispy golden brown bread on the outside, gooey oozing cheese and dripping BBQ chicken on the inside – open your mouth wide and take it all in! 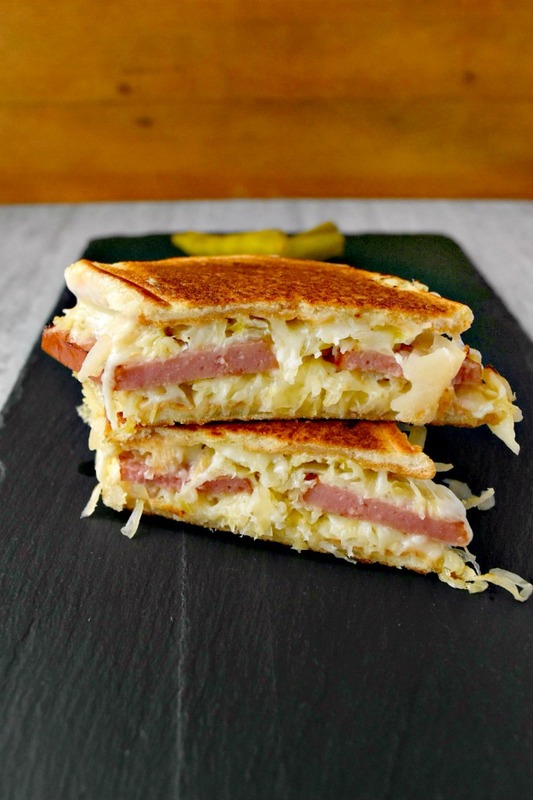 Large slices of Polish sausage and delicious sauerkraut with just enough tang to meld with the aged cheddar cheese. Then there’s a hint of the dressing. Sounds absolutely fantasic! 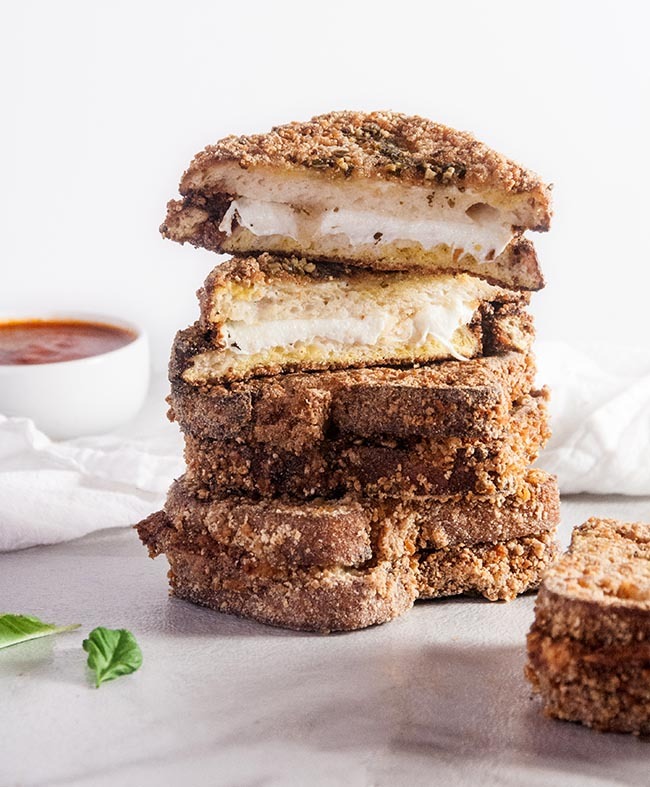 I mean these sandwiches are basically the baby of an intense love affair between mozzarella sticks and grilled cheese. Could anything less than beautiful perfection come from that union? I think not. 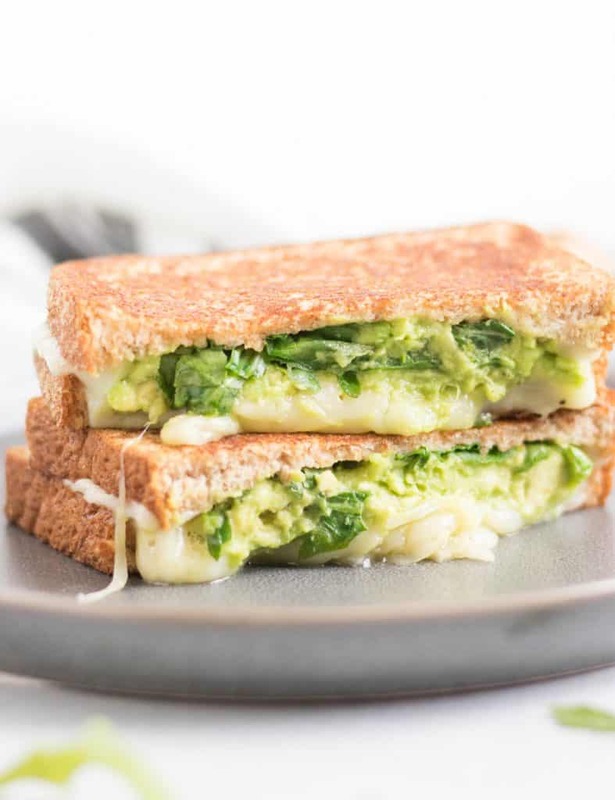 This decadent Brie grilled cheese is packed with flavor! Thick bread is slathered in fresh thyme butter and filled with green apples, smoked ham, and Brie cheese, all drizzled with a touch of honey. 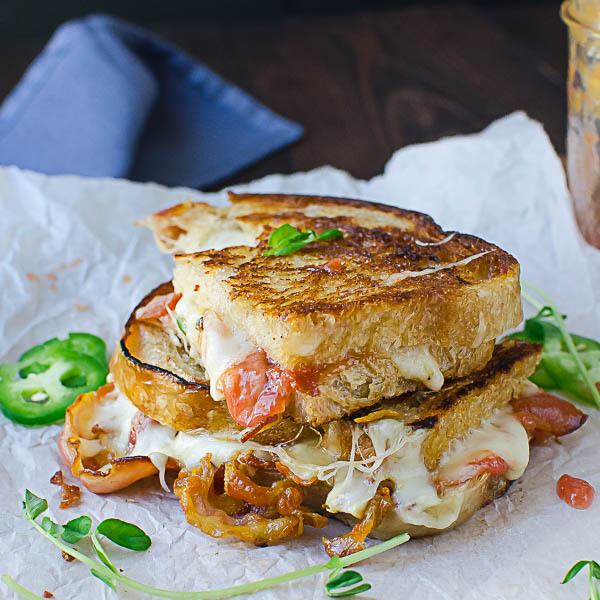 It doesn’t get more delicious than this – an artichoke and bacon grilled cheese! Artichokes and bacon should be best friends forever. 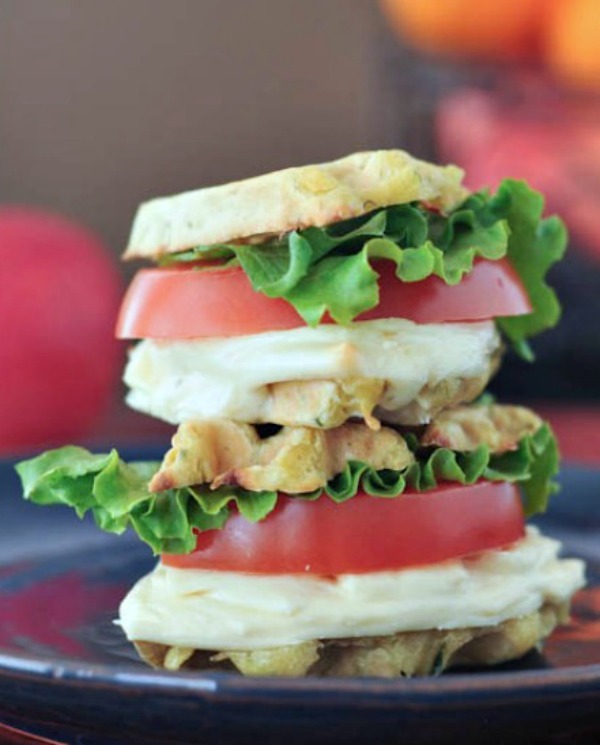 You’ve got to try this sandwich – you’ll never look back! I know with a Greek theme, you might be expecting either olives or lamb in this grilled cheese sandwich – neither of which are – but this has some other fantastic flavors and is meaty enough without actual meat. Grilled cheese with a Greek-flavored, vegetarian twist – so good! This sweet and savory combo gives a fun twist on the classic. 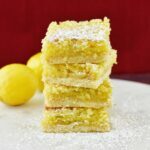 This recipe is not exactly “healthy” (does the fruit count? ), but it’s comfort food at its finest. The perfect alternative to your typical chili cheese dog. It’s really simple to put together and in less than 5 minutes it’s on the table. The perfect marriage…sausage and peppers and melted cheese. Does it get any better than tasty sausage and peppers packed into the cheesiest grilled cheese ever!?!? Probably not. Did someone say avocado? If you’re already sold, then add to the mix some gooey Havarti cheese and fresh baby arugula and you’ll have one hec of a grilled cheese sandwich. Fresh and flavorful sandwich layers hugged by crispy savory zucchini waffles – a perfect bite size for brunch or lunch! My goal starting this blog was to begin exploring various recipe ideas and these ideas most definitely included the grilled cheese sandwich. Step outside of your box and try something you may not have thought of. I hope you enjoy!